It is with deep regret that the Golden’s Bridge Fire Department announces the passing of Fire Police Captain Joseph Simoncini Sr. Captain Simoncini passed away on Friday November 2nd 2018. Please keep his family in your thoughts and prayers during this difficult time. 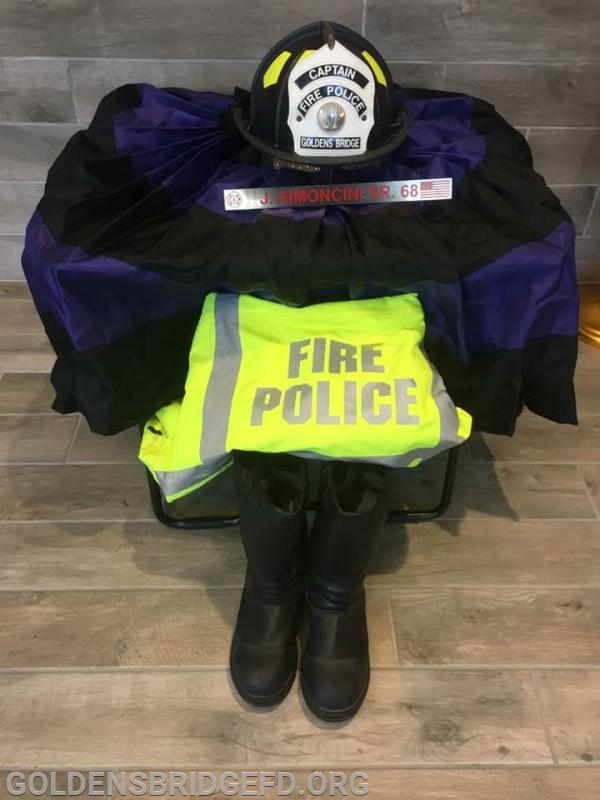 Captain Simoncini’s Gear set up a memorial in the firehouse lobby. 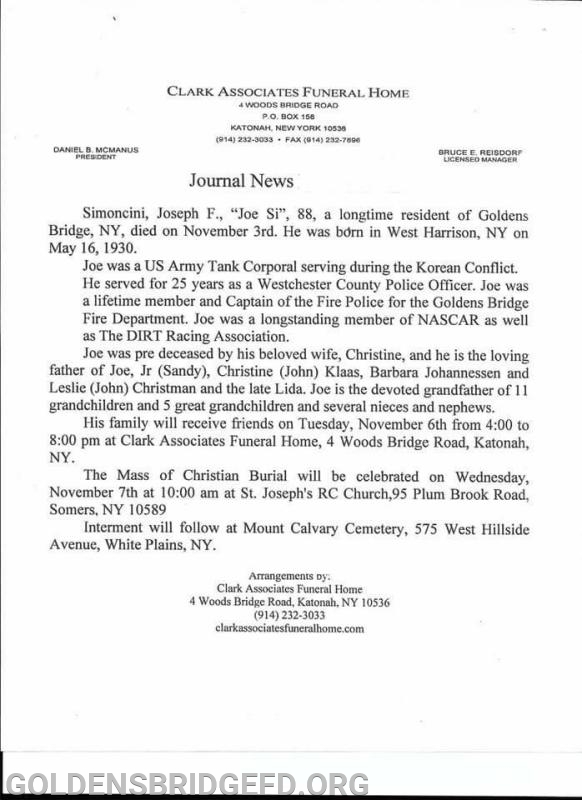 Captain Simoncini’s obituary from Clark Funeral Home.